Here we have a whole family of PIRATES! Meet Dad, David and Mom, Osiris. With Dad is young Dave and with Mom is P.Q. Thanks for these entries goes to Dad, David. 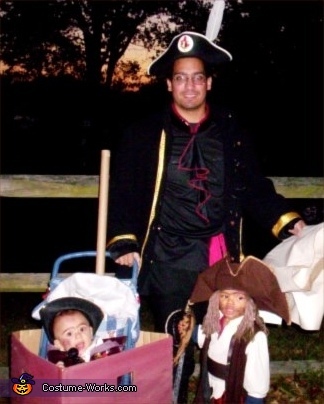 This homemade costume for families entered our 2007 Halloween Costume Contest.